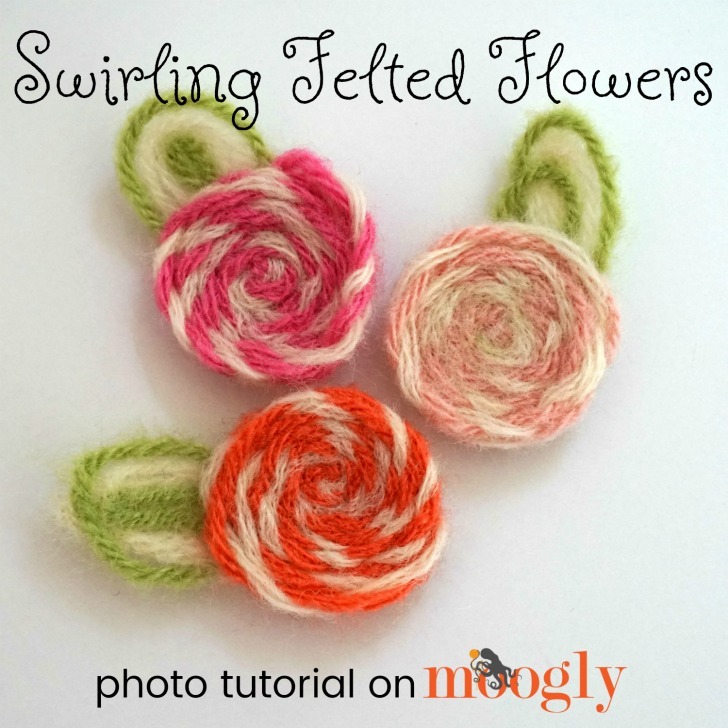 Swirling Felted Flowers - Needle Felting Tutorial on Moogly! Generally speaking, needle felting is done with wool roving. 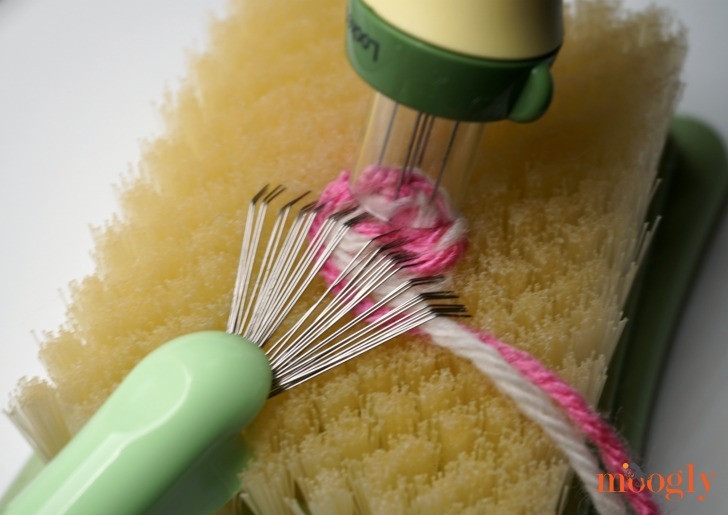 The way it works is that the “scales” on the wool grab onto each other as you poke them with the barbed needle felting needle. 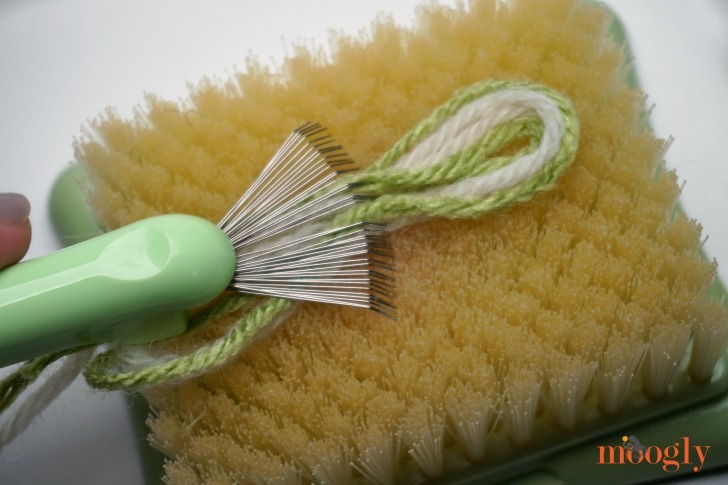 But I wanted to see what could be achieved with yarn – something I’m betting you have lots of in your house too! 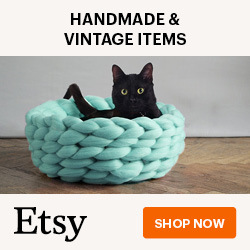 And I found it was indeed possible, as long as I included Lion Brand Fisherman’s Wool – a feltable yarn that you can find at most big box craft stores! Fisherman’s Wool comes in just a few basic neutrals, so I needed to add some color – and for that, I used Lion Brand Vanna’s Palettes. These Bonbon sized skeins have enough yarn to make dozens of flowers. This would also be a great use for your leftover Vanna’s Choice! Since acrylic yarn doesn’t have the feltable scales, holding it along with the Fisherman’s Wool as that gets felted creates some really neat effects. I do recommend picking a “fuzzier” acrylic yarn, so that there is something for the wool to entangle with. It takes a bit of time, but just keep stabbing and they’ll bond together! Here’s how I made them! 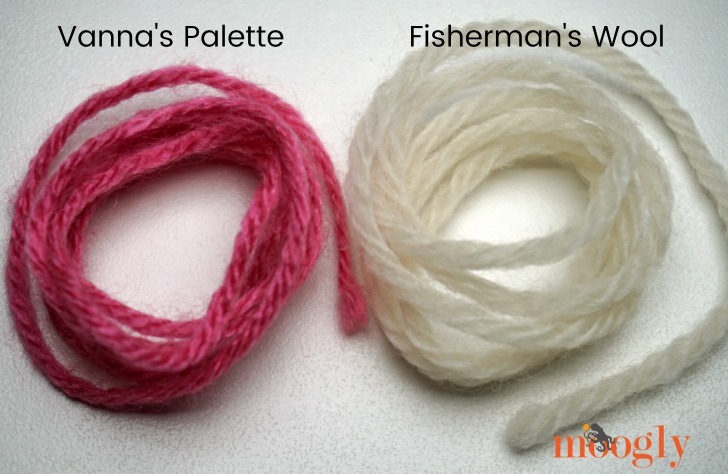 Step 1 – Cut a 30″ length of Vanna’s Palette (any color) and a 30″ length of Fisherman’s Wool. (For larger flowers cut longer lengths, for smaller flowers cut shorter lengths, just make sure they are the same length). 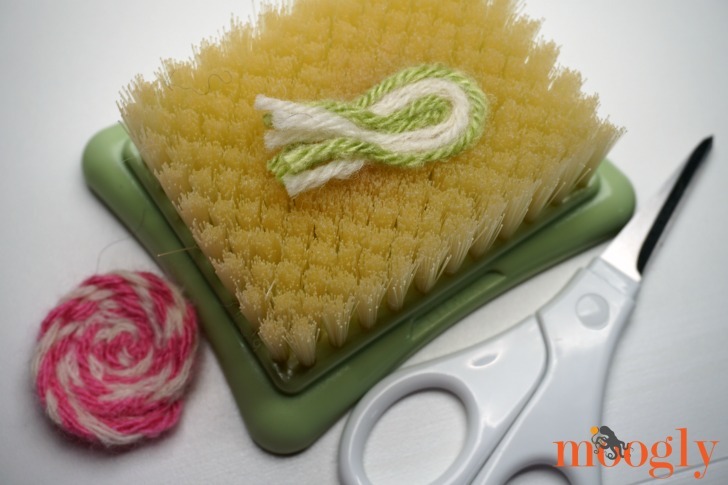 Step 2 – Twist the yarns together – they’ll want to come untwisted, just keep twisting them together as you continue the next steps! Step 3 – Start swirling the yarns at one end of the lengths, until you have a small circle. This can be a little fiddly, just try to get them in a circle with the ends on the bottom. 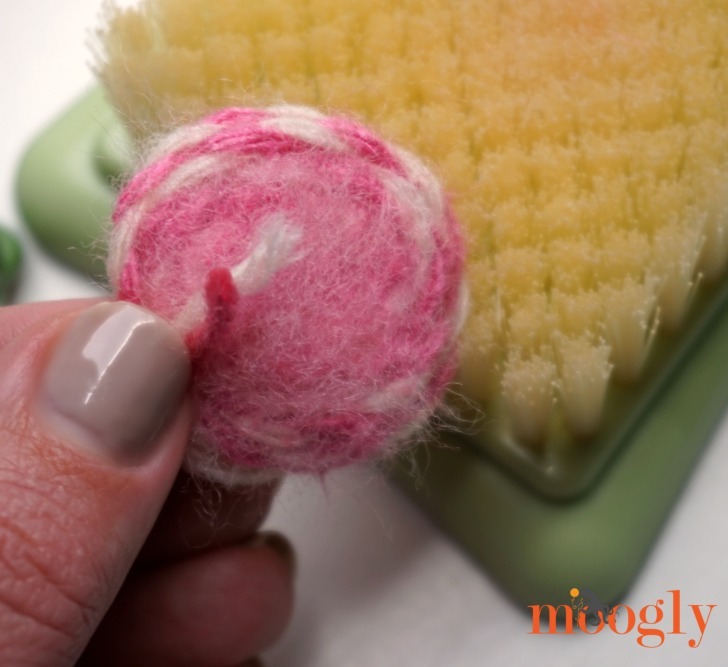 Step 4 – Place the swirled portion on the felting mat, and use your felting tool to start felting the yarns together – you can use the claw to hold it in place and save your fingers! Just keep poking the yarns together until they adhere to each other. Step 5 – Keep swirling and stabbing, creating a flat disk. Be sure to twist the yarns together as you go! 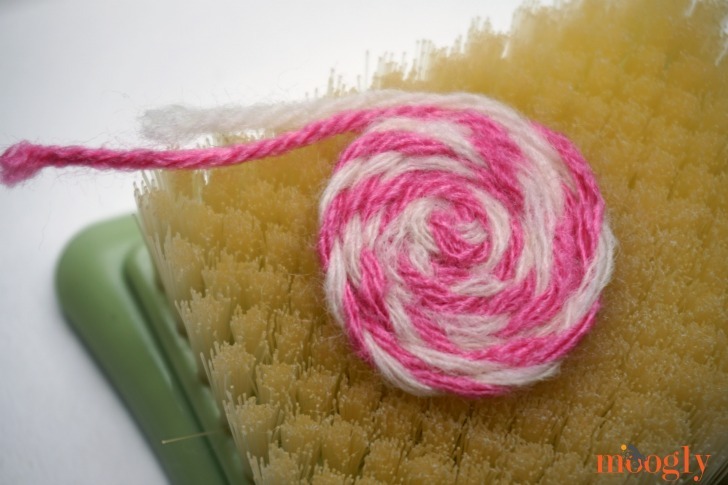 You need the acrylic yarn to be wrapped in the wool yarn so that it will be trapped inside the project. 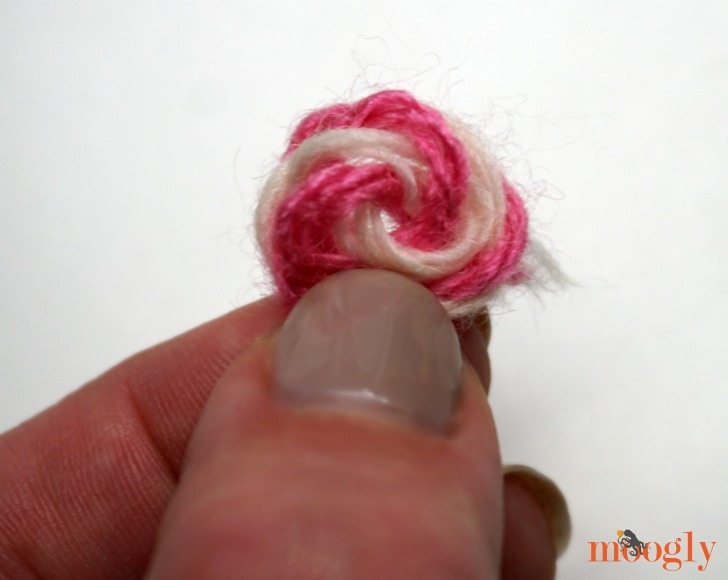 Step 6 – When you come to the end (or your flower is big enough), trim off the excess yarn and tuck the ends underneath. Felt these down securely, and set the flower disk aside. Step 1 – Cut a 10″ length of Vanna’s Palette (any leafy color) and a 10″ length of Fisherman’s Wool. (Again, you can customize here as desired.) 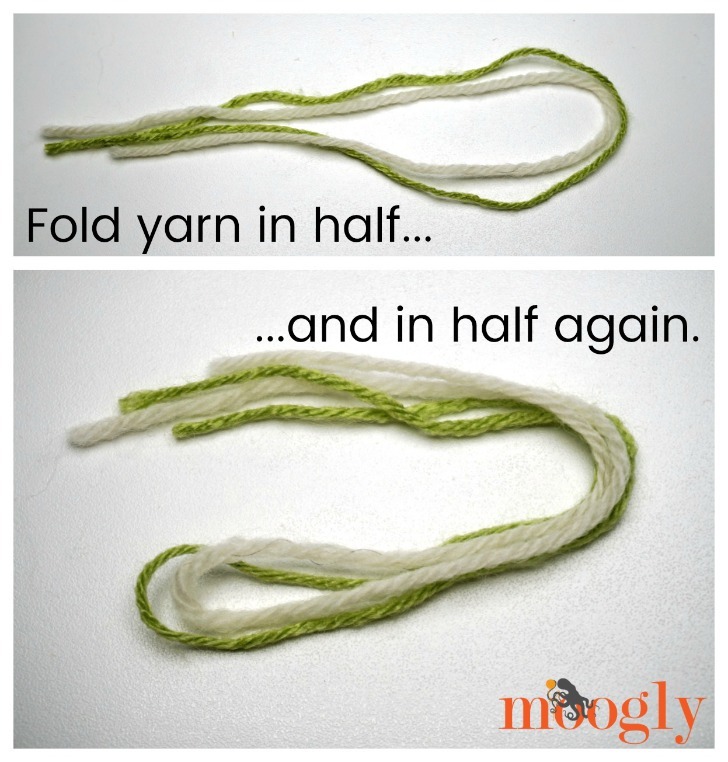 Holding the yarns together, fold them in half lengthwise, and then in half again. 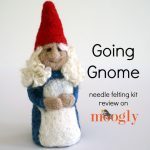 Step 2 – Pinching the yarns together in the middle, use your fingers to create a leaf-y shape and the needle felting tool to stab it until it comes together – be sure to watch your fingers! Step 3 – After the leaf portion is formed, cut off the excess yarn leaving unfelted ends to be attached to flower. Step 4 – Place the flower, right side up, on top of the un-felted ends of the leaf. Stabbing time! 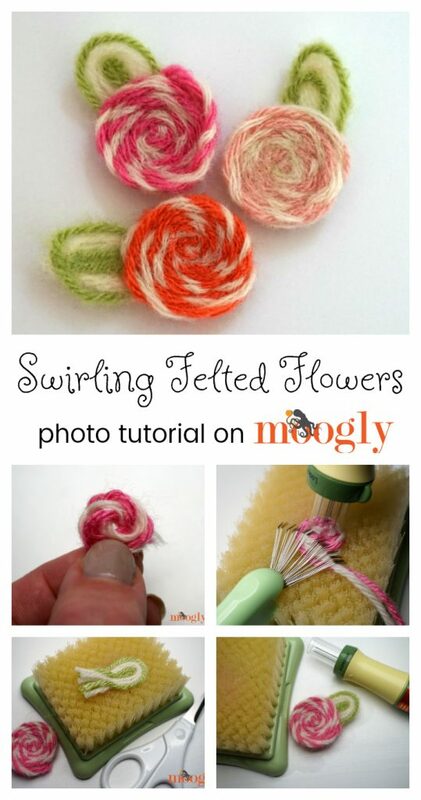 Use the needle felting tool to poke the flower until the leaves are attached. Aren’t the pretty? Leave off the leaves and they could just as easily be little hard candies – or the top to a lollipop! 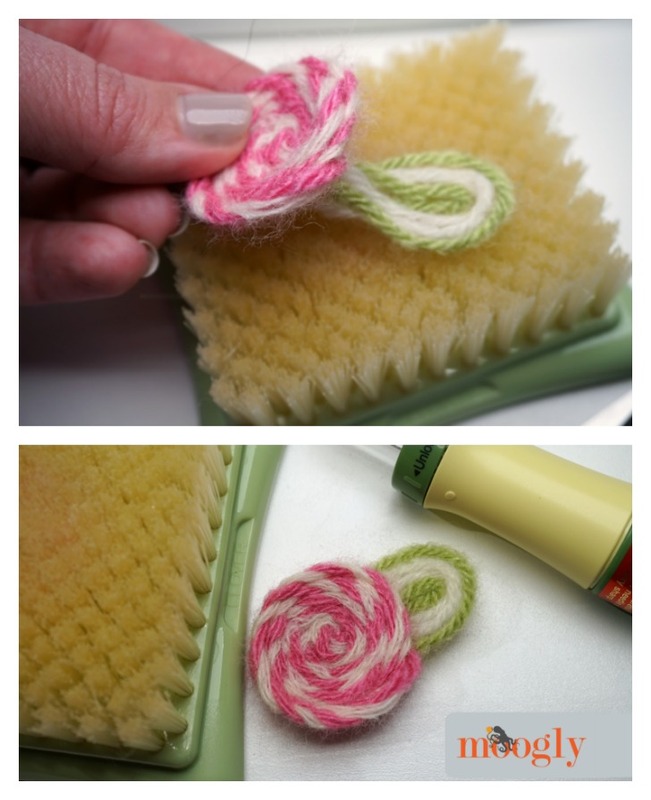 You can add the Swirling Felted Flowers to anything else that’s wool or (real wool) felt – just place the piece on the mat, and put the flowers where you want them to be, and start stabbing again! It’s a very easy way to add appliques and personalize your projects. Of course, wool felting isn’t just for appliques, you can build entire 3D sculptures with it! For instance, I’ve made a Rock Monster and some super cute Sheep – and now I’ve finally come up with my own creation. 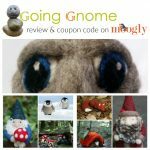 Have you tried needle felting before? What did you make? If you make the Swirling Felted Flowers and post them on social media, be sure to tag me – I love seeing what you’ve made! Written pattern and photo tutorial copyright Tamara Kelly 2017, all rights reserved. Please do not reprint or repost this pattern, but please do link to this page to share this pattern with others. To print or download, use the Print Friendly button below, or go to PrintFriendly.com, or right click to copy and paste it into a word processing document if those options do not work for you (please note that Print Friendly is a free outside website that the button links to, and you can click here for a tutorial on how to use it, but I cannot provide additional technical support for this service). If you wish to make items for sale from this pattern or translate it to another language, please visit the About page for details. Thank you to Lion Brand Yarn for providing the yarn for this pattern. Thank you to Clover for providing the tools for this pattern. 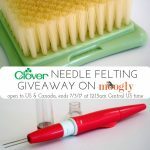 Romney Ridge Yarns & Wool Needle Felting Kit Giveaway! Hi Pat! I don’t have a video on these – yet! If that’s something people are interested in I can make a video, but it’s pretty much as described – poke them until they stick together haha!